Better than I remembered from previous trips to Berkeley. 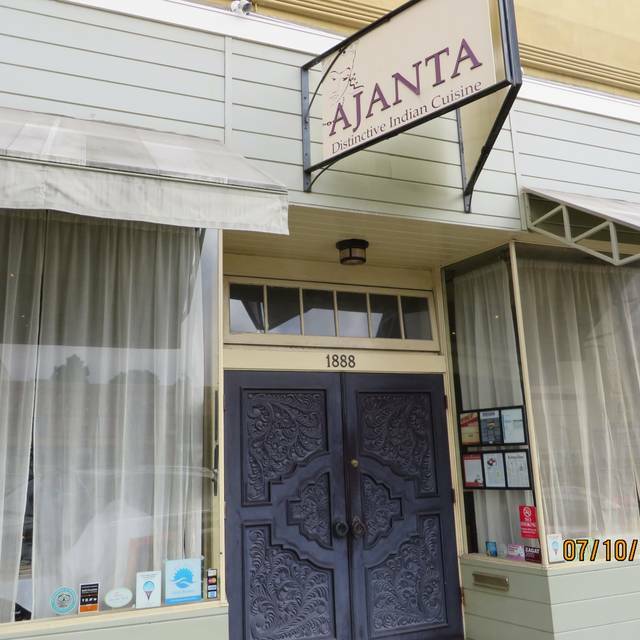 Always visit Ajanta when in the East Bay. Fantastic find in North Berkeley, the food was authentic and SUPER tasty! I was pleasantly surprised by this neighborhood gem. A very cozy and comfortable restaurant, great atmosphere. I was with a group of 8 so my food comments are reflective of some of the other dishes. I had the seasonal chicken dish which was out of this world - succulent, moist, and in a delicate sauce. The most amazing Indian dish I have ever tasted. Sadly, some of my friends had different chicken dishes where the chicken was very dry. Also, the restaurant confused the spice levels of each dish. My chicken was spicier than I ordered. It was probably confused with another person's at my table who had the same dish. My friend next to me didn't order spicy at all and had very spicy chicken. It seemed they struggled a little bit with a big order like ours. Otherwise great place I would give it another try. Very good! We go here every time my father is in town. 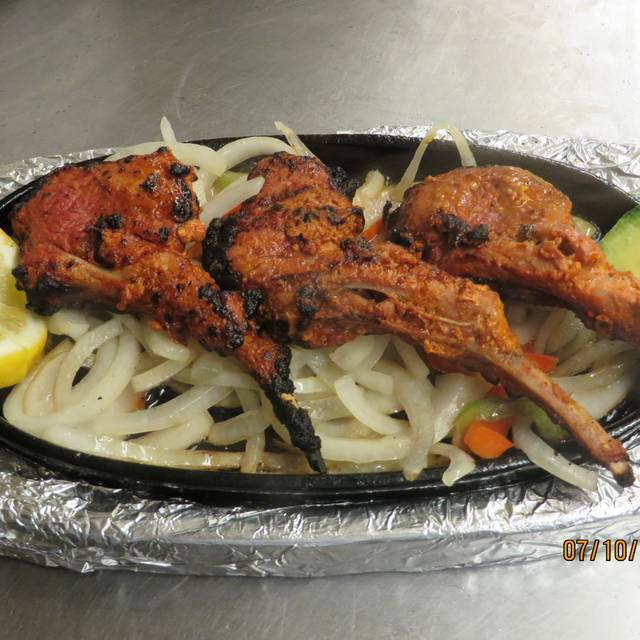 My wife, friends, & I look forward to eating again at Ajanta. That said, we will avoid the Tandori Prawns, which were terribly overcooked and leathery. This restaurant absolutely does NOT deserve a 4/5 rating for best Indian Food in East Bay, Lamb Marsala was was small pieces of overcooked lamb in bland creamy sauce, The Green Curry Fish was really awful! 3 small pieces of some unknown fish that was slimy and tasteless in a bland green curry sauce. My friend and I ordered the prix fixed menu that came with appetizers which were the best part of the meal; the rest were not fit to be served. The desserts were also awful, the cheese cake being a small piece of dried cheese in some creamy sauce, the rice pudding was long pieces of white rice in a watery milk sauce. The entire meal except for appetizers was a total disaster!! will not go back, so disappointing as my guest wanted to go to a really good Indian restaurant as she was visiting from Philadelphia.Needless to say I was so embarrassed, I did research and this was the Best?!! who made this decision for Yelp and Trip Advisor? For many years Ajanta has been my "favorite restaurant in the world"!! Our dinner on Sunday night was a disappointment! So many differences from the many years of wonderful food.... the chicken makhanwala was different - the sauce less blended and delectable, the carrots (carrot "pickles" - bland), the rice was served with peas - and no crispy fried shallots or onions, as always in the past, the spinach / potato dish served with the rice was not as good. The dinner came with rice OR naan, that would have been fine - to pay extra for naan, but with all of the other changes, not ok at all. It was VERY strange - how different everything was. We asked if there was a change in the kitchen or ownership and our waiter said no, nothing had changed, so perhaps it was just a very bad night. Until I try again, I won't be proclaiming it my favorite restaurant or recommending it to anyone. We've always enjoyed Ajanta, but under new management(? ), service was slow, and my wife & both suffered from some mild intestinal upset afterward, origin unknown. 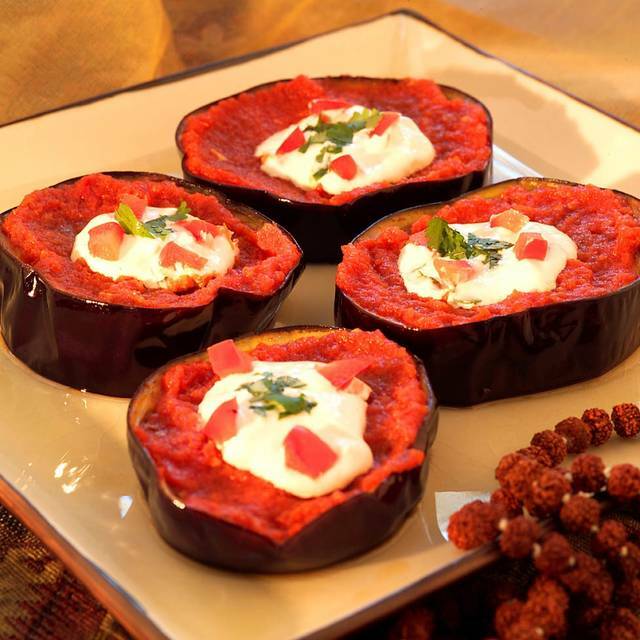 Creative Indian cuisine, including many good vegetarian dishes. Excellent food...flavorful and different. Highly recommend Ajanta! The unfriendly attitude of the staff at Ajanta contributes to my assessment of the restaurant as being poor. The food is barely acceptable but it is served by people who apparently do not like their job. No such thing as service with a smile here and the maitre d'hotel on this occasion was especially grumpy. Why should I patronize a restaurant where the staff make it clear that I cam not welcome? The place also reeks of cooking odor that stayed with me and my fellow diners for days. wonderful food--always full of surprises. 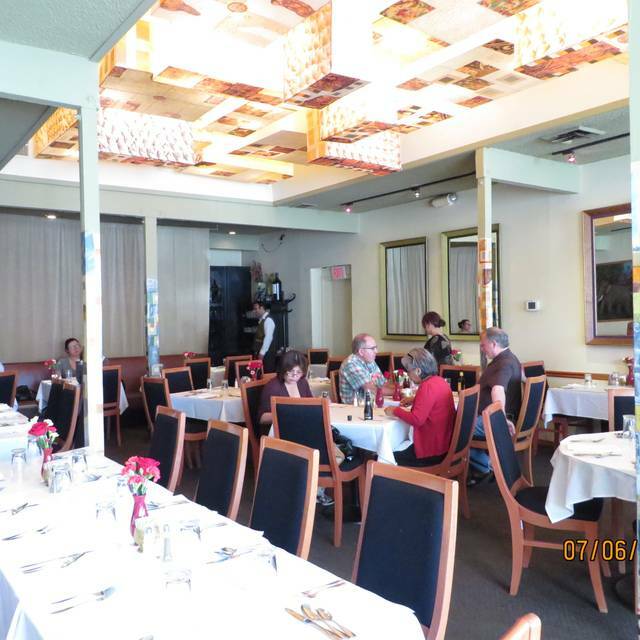 Service is attentive and the atmosphere is conducive to a relaxing and enjoyable repast. Excellent food, and an amazing variety. Five of us had different things with some sharing that we all enjoyed. A little noisy, but good service. We will definitely go back as we liked the warmth of the restaurant, too. Food was of mediocre quality - I expected more given the price. Also one of the waiters openly picked his ear with a pen. That was disgusting ! I love Ajantha! See my recent review. And it lived up to all of my expectations going there on Valentine’s Day last week with my sweetie and friends. The best Indian restaurant in the Bay, hands down. We ere not happy with our meal. We used to dine Adjanta 10 years ago and it seems to have changed for the worse. The lighting was too bright, giving the restaurant a less intimate feeling. The food was unremarkable and the naan bread was undercooked. It was okay, but not worth going back to. I've eaten at Adjanta several times over several years and it has always been a treat. Creative and elegant food in a friendly atmosphere. However, this past visit my friend had the fish. I could smell it from across the table and I tasted just the sauce at the end of the meal. It was not fresh by any means and if it were mine I would have sent it back. My lamb dish was just ok, no subtle spices as I would usually expect. We might have hit an off night or maybe standards have declined. I would go back to try it again because my meals in the past have been wonderful. they desired. We stopped the waiter and requested the highest level of spice for 2 dishes. All dishes arrived without spice, blandly mild and not at all to our tastes as a result. We’ve eaten here at least 20 times and are sad to think that service is slipping so badly. Still the best Indian restaurant in the East Bay!! We were greeted at the front door, by a friendly person, and shown to our table. Water was poured within 15 seconds! I had Chicken Tikka Masala...which I always have...and it was delicious! My husband had a dish made with lamb (I can't remember the name...) and he loved it! The main course servings were very generous and very tasty! For dessert, we shared the Saffron Pistachio Ice Cream which was creamy and yummy. We'll be back!!! wonderful, as always. Tasty food, many selections, good service. Excellent overall. Very spicy, even at the "medium" level; so, if you don't like it hot be careful to ask for "mild." 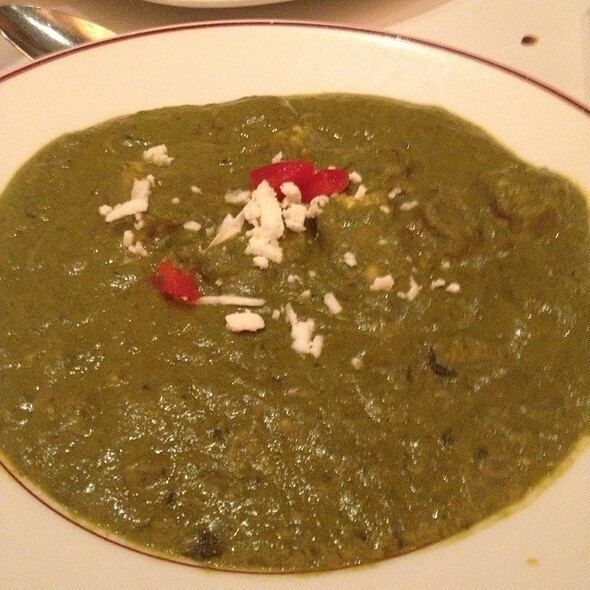 We have had many fine meals at Ajanta in the past nearly 2 decades. This was the third New Years celebration meal at Ajanta for my wife and I, the first two were wonderful. For celebrating close of 2016 and 2017 Ajanta presented a wonderful sampling menu which included lovely dishes paired with lovely wine. All perfect. The Dec 31, 2018 meal was not a fine meal, and wine pairing was not available. In fact it was a distinctly mediocre meal. The appetizer selection and seasoning was fine. The main course was really not good. The spices were all off as was the food quality. For example the normally wonderful lamb ribs consisted of one rib and a second piece of gristle. The other entree items were ok but spiced poorly. I am hopeful that this was an off day, but I am not sure we will be back. I know you have new owners ..... perhaps they should look back. We have been here four or five times and never been disappointed. The flavors, the spices, the aromas . . . They all mesh to tickle the palette. We had the Tandoori chicken Chaat to start (a change up from our fave chicken samosa) and it did not disappoint. It's served cold with lovely spices. For the main course it was the Mangolore chicken curry (a fave, great flavor) and the methi Machi fish (has a nice kick to it and great flavor). Add rice and fresh veggies and it's a win; all for a good price including a couple of drinks. We will most definitely be back. Always delicious and cozy. We've been coming here for years and enjoy Ajanta. This used to be a great restaurant. We visited on Christmas Eve so I don't know if it was an off night with the B-team running the show, but the staff there was brusque and disinterested and for the food we didn't see much difference from Trader Joe's pre-made that we could eat at home for a fraction of the price. This is a fabulous restaurant and I would rate at 5 stars, if only the staff could smile - just a little! The maitre d’ in particular could just do more than scowl. Perhaps it is a cultural quirk, or a bad day, but really - is it impossible to just show a little friendliness? The food was terrific.. Delicious menu items. Fast and very friendly service. I’ve been a fan for years, but they have changed their menu. Simply not as good as it was. Wait staff very helpful in ordering from menu, and cooperative in helping us to share dishes. It was good but the service was quite slow and the portions much smaller than before. A tiny little mini dish with chutney for 4 people, the Nan was included in the order but forgotten. After asking 4 times for the nan it arrived. Too bad because we had almost finished our dinner and the sauces were almost eaten. Also we only got one piece of nan for 4 people even though our order included nan for each person. Disappointed this time. Although the restaurant was only a third full when we arrived we got a bad table. Sad because we expected more. We used to go to Ajanta more often. But in recent years the food has been too salty and we don't go there as often anymore. The prices were far too high for the quality of food that was served. The appetizers were lukewarm, the meat dishes did not have much meat and some of the side dishes looked as though they had been sitting around for quite some time before they were served to us. On the positive side, the spices were used well and the flavors were generally good. However, given the abundant competition for food of this kind, this restaurant needs to up its game if it wants to compete at this price level. I love this place and have eaten here many times. I took my sister who lives in Europe where she can't get Indian food and loved being able to share really great Indian food with her.